Dentures or ‘false teeth’ can be used to replace missing teeth. Dentures restore your smile, facial appearance, and chewing ability. 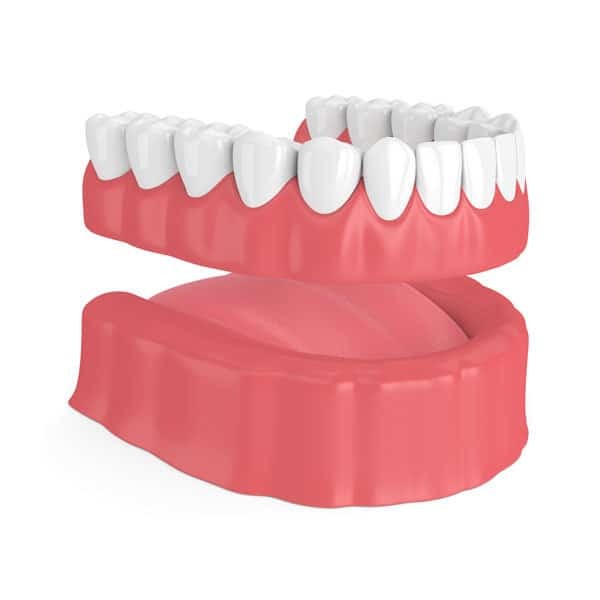 The process of making a denture begins by taking impressions and after several visits the denture will be constructed to ensure a customised fit and good appearance. Dentures, like your natural teeth, require regular check-ups. Over time, a denture is exposed to general wear and tear, along with bone recession that effects the fit of a denture. When this happens, your denture may require relining, remaking, or rebasing. Finding the right denture greatly depends on your individual requirements. One of our dentists will balance your individual needs with the structure of your mouth and jaw and suggest a treatment option that is suitable for you.